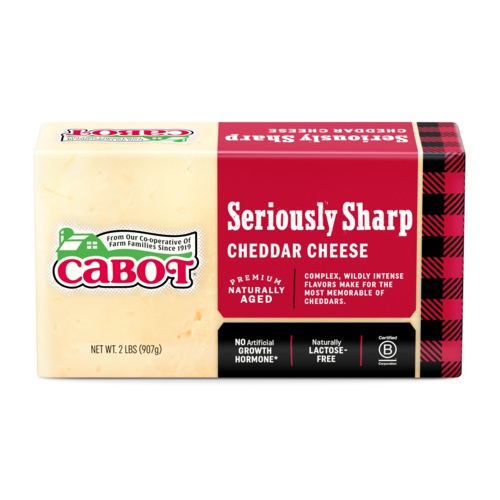 This is sharp cheddar without the training wheels. 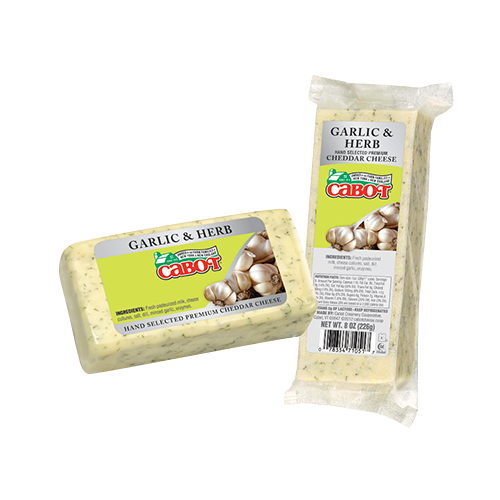 Creamy white in color with an almost crumbly texture, it has a sophisticated citrusy tang. 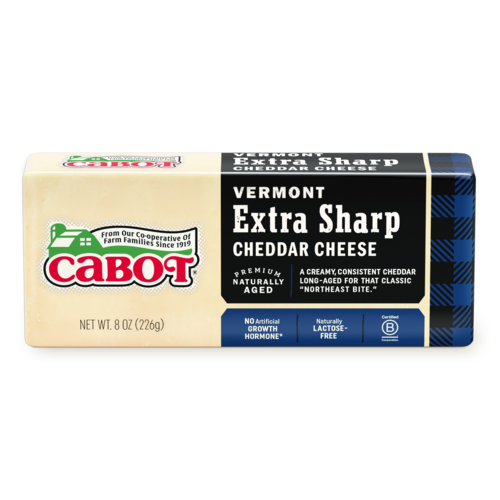 We like to say that it is an introduction to the "East Coast Cheddar Bite". 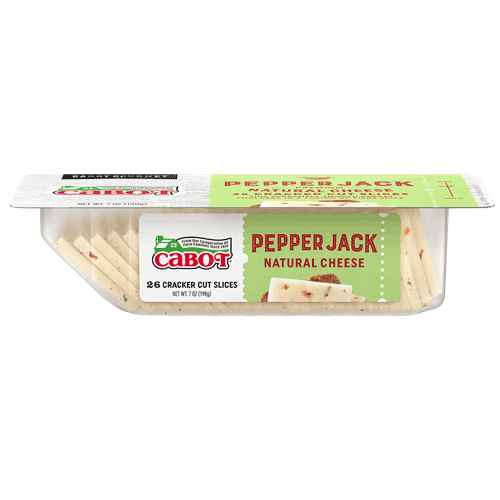 A stellar snacking cheese paired with roasted nuts and ice-cold ale. 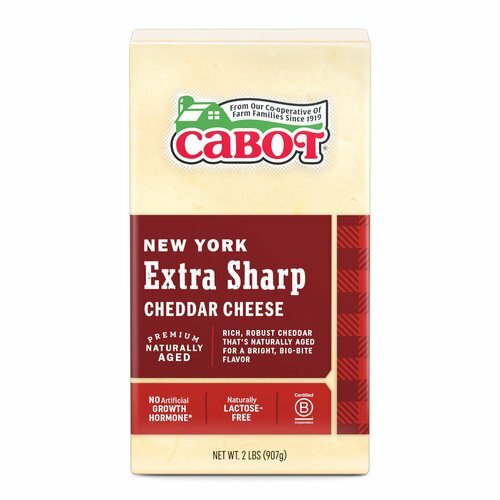 Make no mistake, this cheddar is also excellent for cooking: A little goes a long "whey" when you melt it into cheese sauce. 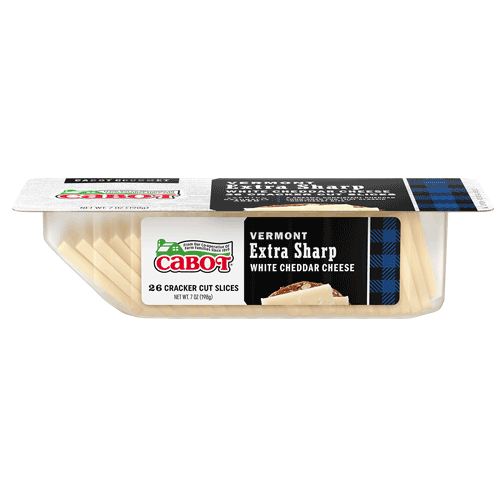 And a few slices of Lactose-Free Extra Sharp will turn a simple burger into a work of art. 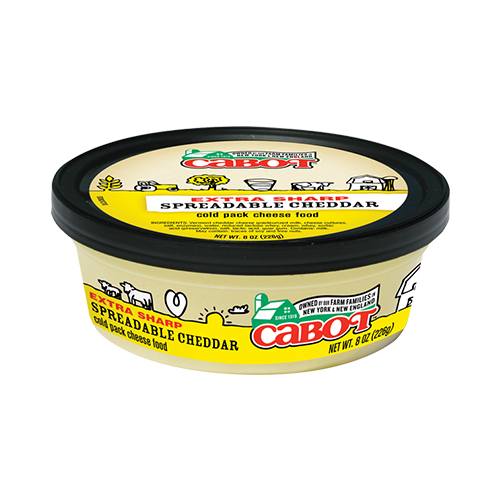 Ingredients: Fresh Pasteurized milk, cheese cultures, salt, enzymes, annatto (if colored). 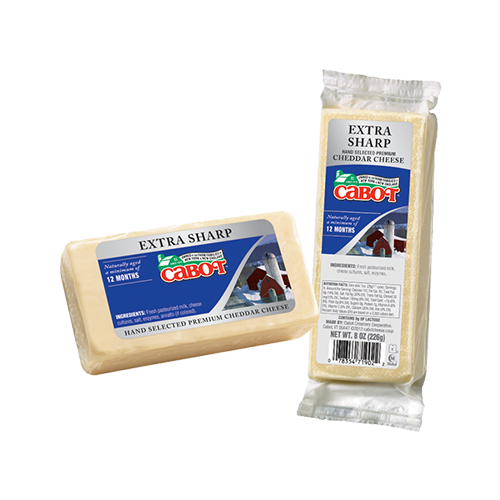 Our Lactose-Free Extra Sharp cheddar is aged for 12 months and has a sophisticated citrusy flavor. Everyone likes options, so we’ve produced it in traditional and in yellow. 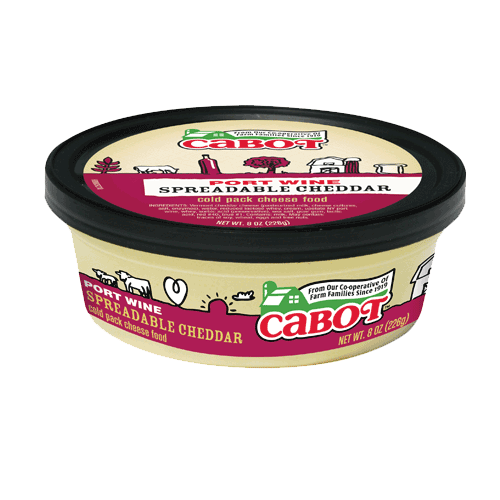 It’s got that perfect "East Coast Cheddar Bite” and makes for excellent snacking paired with roasted nuts and chilled beer. 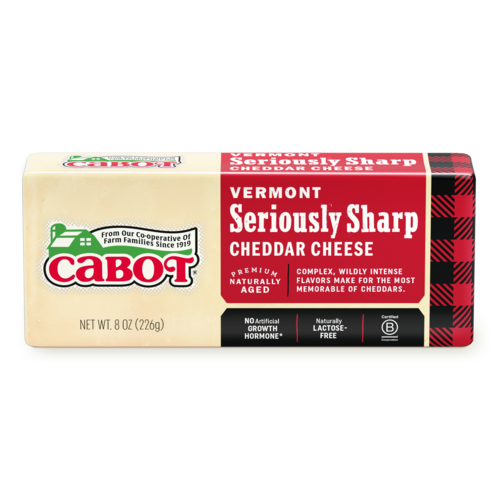 For the Extra Sharp Cheddar connoisseur, our 3-pound brick ensures that you'll never be caught without our famously tangy, rich, crumbly white cheddar. 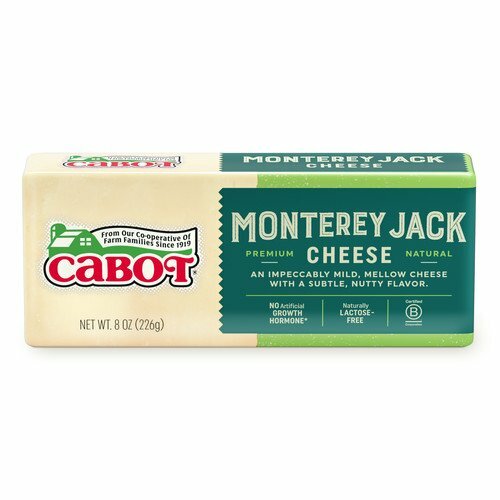 Whether you're the consummate cook or a slice-a-day cheddar lover, pick up a 3-pound brick so you'll always have Lactose-Free Extra Sharp goodness on hand for your favorite sandwich, salad, soup, and sauce recipes. 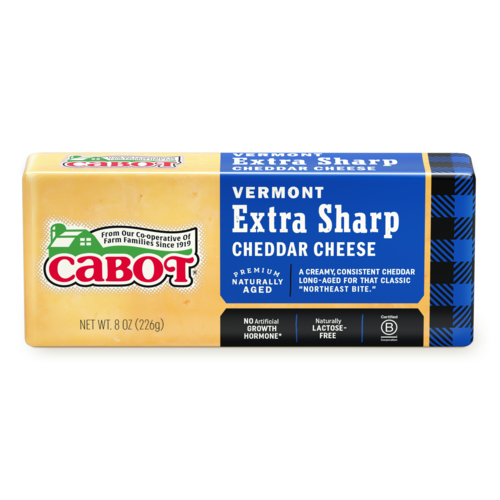 It's hard to eat just one bite of our Lactose-Free Extra Sharp Cheddar. 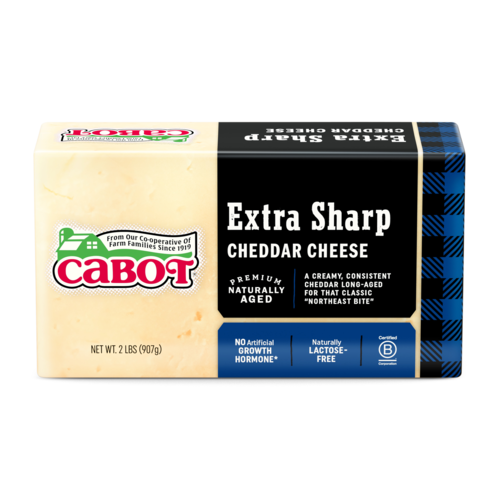 That's why we're proud to offer our 2-pound brick, so you can stay well stocked with the crumbly, extra sharp bite of this Cabot favorite. 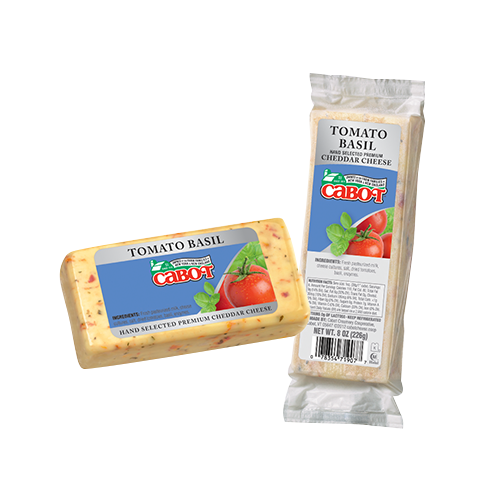 Whether you're grating up a big bowl for your next sauce or serving sandwiches for a week, our 2-pound brick is the right choice for discerning chefs and hungry families. If you love the added punch of our Lactose-Free Extra Sharp Cheddar, stock up with a Deli Bar today. 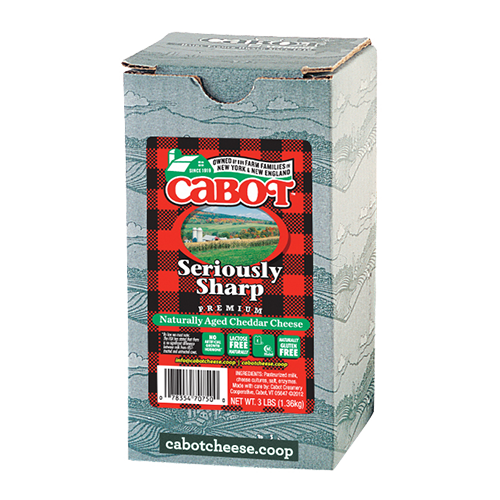 Aged a minimum of 12 months for absolute cheddar perfection, this delicious cheese crumbles beautifully over any recipe. 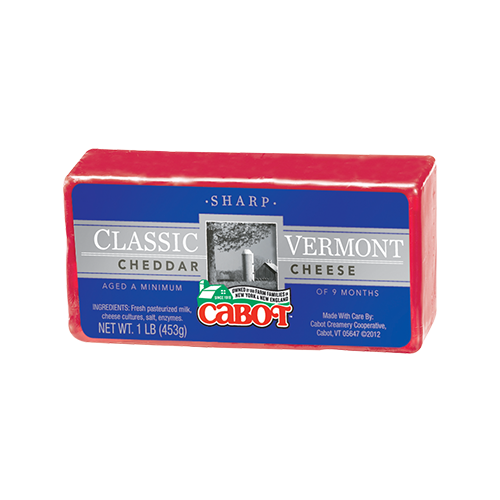 You can savor that extra kick on its own, or enjoy with apple slices or spicy chutney for a complex burst of East Coast. 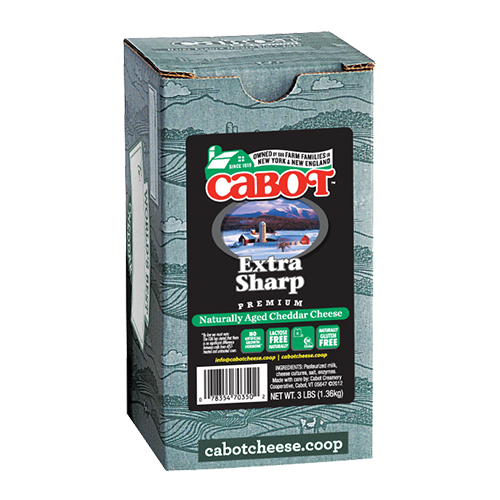 We’ve added pre-sliced convenience to the creamy crumble of Cabot’s long-aged Extra Sharp White Cheddar. 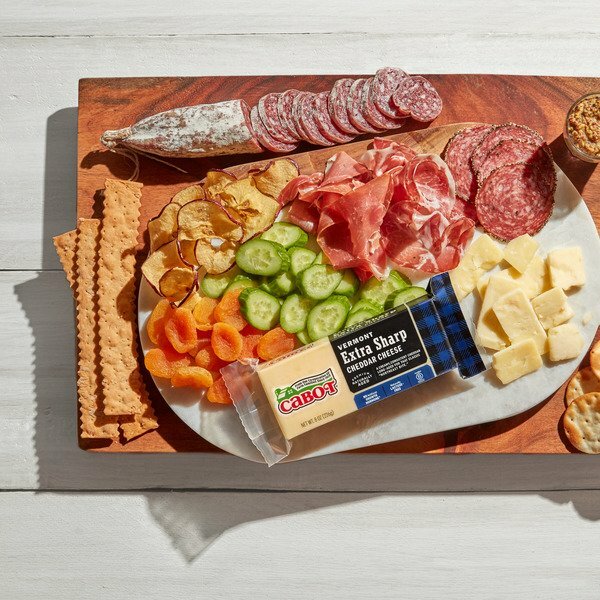 Now it’s even easier to enjoy the sophisticated citrusy tang and classic Northeast bite you love! 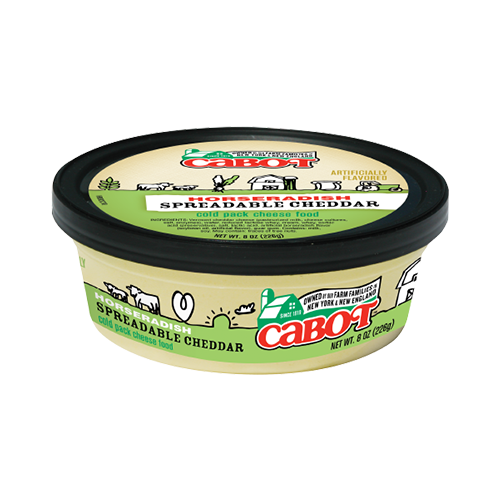 Available in 7-ounce packages, perfectly sliced and ready to serve your cheese loving guests, or simply snack on its own. A single slice goes a long way paired with mixed nuts and an ice-cold beer… but we bet you won’t stop with just one!